Any deeper dive than that into the plot is a waste of time. I had the opportunity to see this with my kids and since having them have seen so many “family movies” that I’m almost an expert at this point. 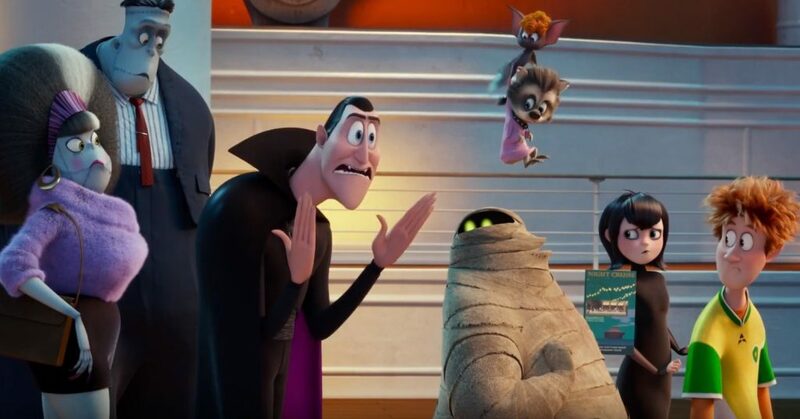 Hotel Transylvania is just a joke and gag delivery system. It is just decent enough to where parent’s don’t claw their eyes out and just entertaining enough to get your children to sit still for 90 minutes. It comes nowhere close to Pixar which are just truly great stories, rich with themes, and have something to say. It also doesn’t reach the high bar of the How to Train Your Dragon series or early Shrek. It sits in the third tier of mild entertainment that is just good enough. In between the sight gags the story tries to touch the concepts of moving on and finding love again for Dracula but it never gives it more than the old college try. It does have some very funny parts though. The werewolf couple dropping their kids off at the cruise daycare and realizing they had time to themselves was hilarious. My kid’s favorite part was when Drac (that’s what his friends like me call him) got dressed up and danced to Bruno Mars for 3 minutes. Frankenstein having a severe gambling problem that causes his to lose appendages to poorly placed bets got a few laughs from the adults. There was enough there to almost justify the entire runtime that I enjoyed. What do you want me to say here? It is probably 110 degrees wherever you are at and at some point this summer you’ll need a few hours out of the sun. 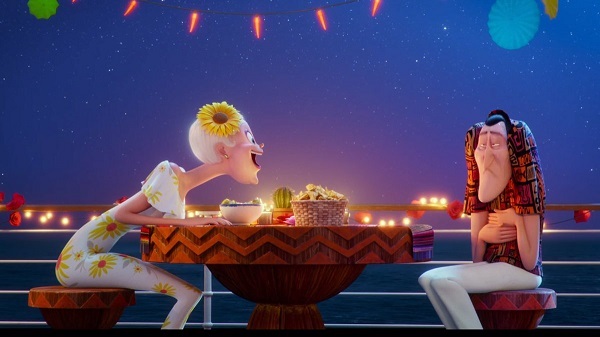 If you have already seen the vastly superior Incredibles 2, don’t want to rent Paddington 2, and nothing else is on, then you can do far worse than Hotel Transylvania 3. As long as the kids enjoyed it and it wasn’t mean spirited then its worth a look. 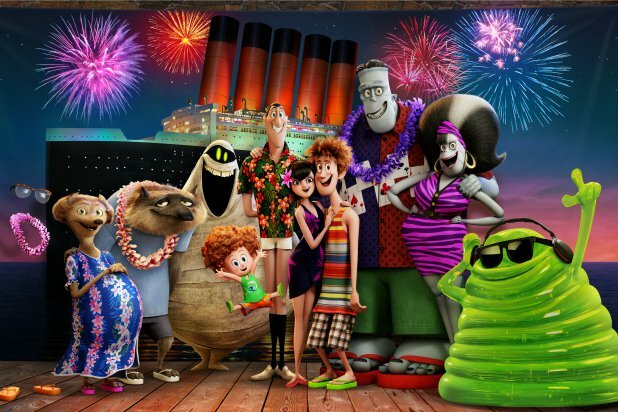 Hotel Transylvania 3 checks all those boxes. This entry was posted on Monday, July 9th, 2018 at 4:00 pm	and is filed under Film, News. You can follow any responses to this entry through the RSS 2.0 feed. You can skip to the end and leave a response. Pinging is currently not allowed. « My Bloody Podcast #11 – ‘Return of the Living Dead’!